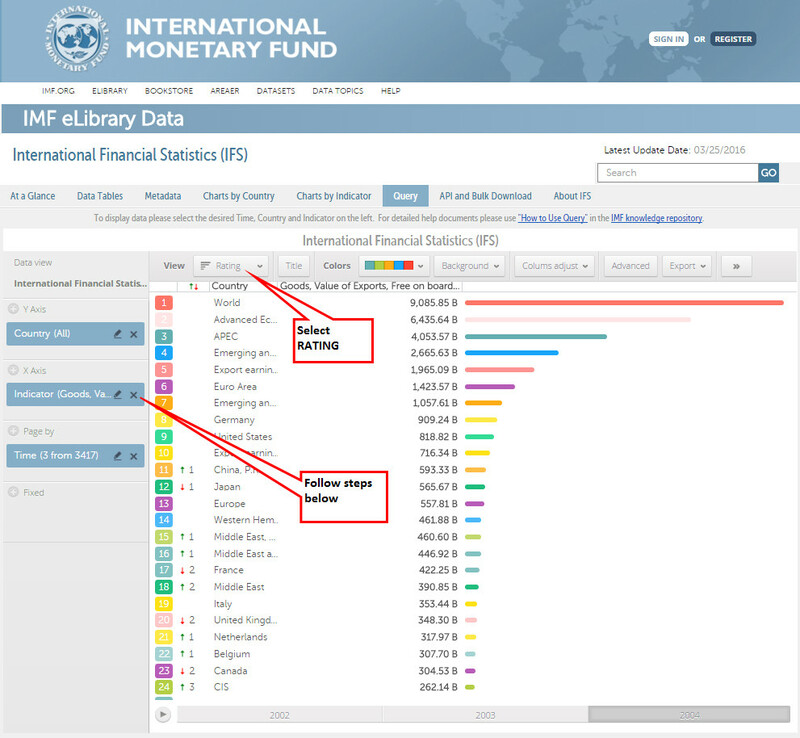 Sample Rating Chart Instructions - The sample chart uses the International Financial Statistics dataset and displays countries' exports, f.o.b. data in 2002, 2003 and 2004 by rank. From the pop up dialogue box select 'All Items on Screen'. Click Apply and OK. Within the Search box, type in "Goods, Value of Exports, Free on board (FOB), US Dollars". Select the indicator by filling in the circle to the left of the searched indicator, and then click GO. From the pop up dialogue box select 2002 to 2004. Click Apply and OK.